Did you know that hot chocolate is a Florentine tradition? 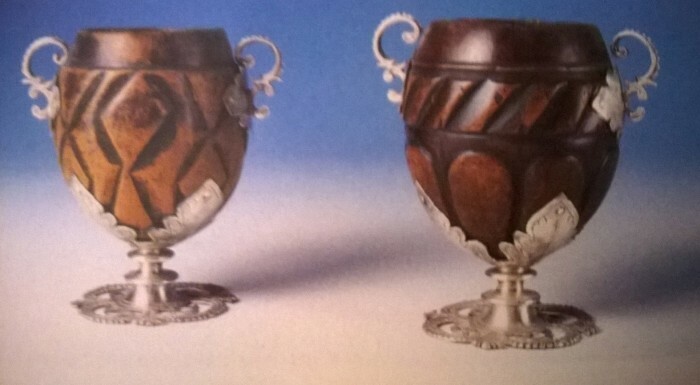 From its first appearance at the Medici court in the 16th century, the city’s nobles went crazy for the bitter drink, which was served instead of wine or water at meals in Palazzo Pitti. It experienced a second moment of importance in the 19th century, when some of the city’s now-historic bars served it to travelers, aristocrats and intelligentsia. 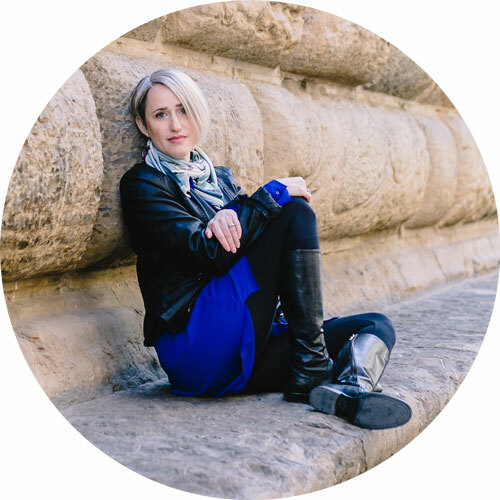 I recently learned about Hot Chocolate in Florence on a thematic tour of the city with Francesca from the cultural association Tre Passi Per Firenze, organized by Yelp Firenze, and I’ve asked her to tell us more about it. The article below is composed thanks to her research, with my words. 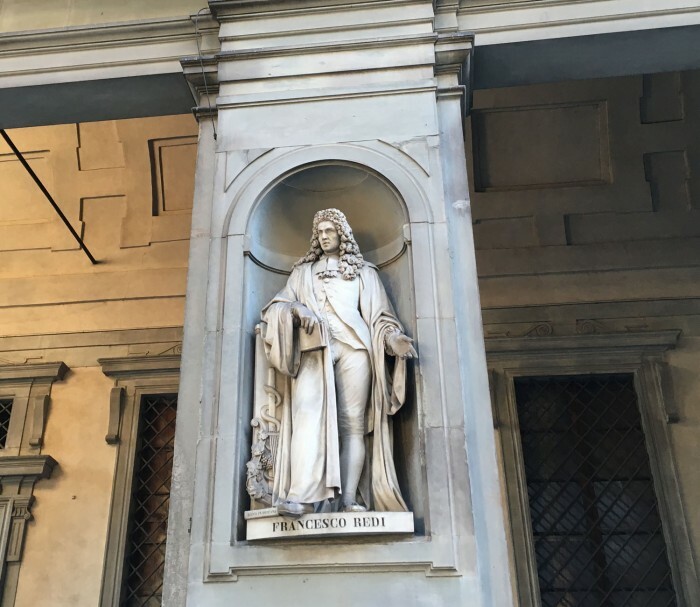 Piazza Pitti – inside, the Medici & their friends drank hot chocolate! Christopher Columbus may have sailed the ocean blue in 1492 but it took him until his fourth expedition, in 1502, to discover chocolate. The nice people of the island of Guanaja in Honduras sent some home with him, having also served it to him as a drink, which he found disgusting. Cortés did a better job of diffusing the love for chocolate, having found it in Mexico in 1519 and imported it to Spain in 1528. It took half a century until it became regularly available in Europe – Italy was the second country to adopt it. The “gift from the gods” was prepared as a drink – the possibility to make chocolate harden into a bar came only later – following the methods brought back via Cortés. The seeds of the cacao were ground into a powder and combined with boiled water to make a bitter drink. Early reports say it was healthy and provided much energy. Its success in European cities, including Florence, was that it provided an alternative to wine and beer when the water couldn’t be drunk unless boiled. It wasn’t entirely to the taste of Italians until combined with cane sugar: Girolamo Benzoni, an important merchant, said in the middle of the 16th century that it wasn’t fit for men but for pigs. He changed his mind when he tasted the sugared version. 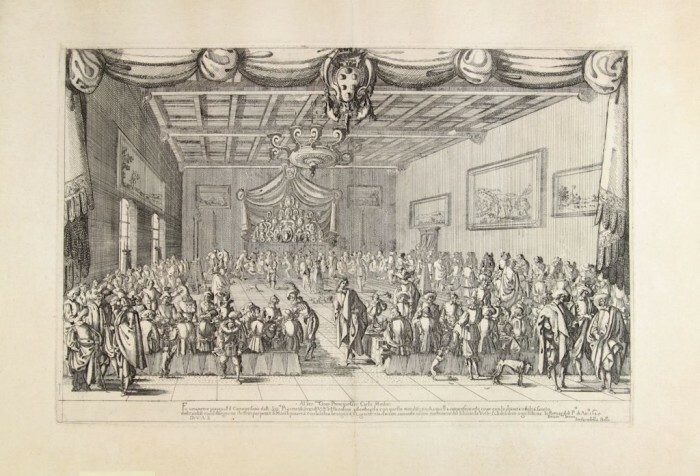 Members of the Medici court became quite fond of the drink; it is believed that the drinks being brought to banqueters in a print of 1627 by Stefano della Bella for Giovan Carlo de’ Medici are cups of hot chocolate. 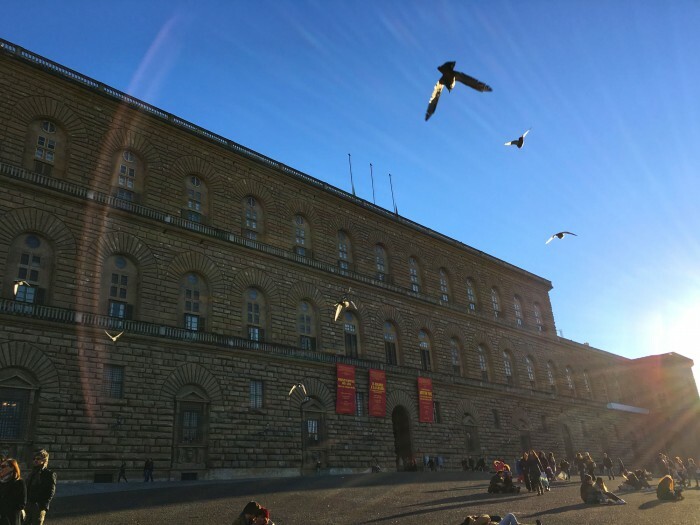 We also know that there was a specific cupboard called the armadino degli odori in the Pitti Palace where Giovan Carlo kept his favourite sweets: an inventory reveals that it contained 43 boxes of chocolate, as well as cedar jellies, perfumed oils and rare spices. Cosimo III continued sponsoring hot chocolate, and his court’s chief botanist, Francesco Redi, developed for him a most delicious jasmine-flavoured hot chocolate. 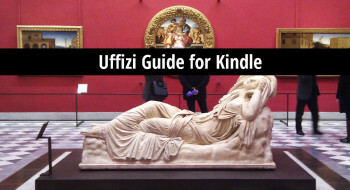 The good man, whose statue is one of those you can find decorating the Piazzale degli Uffizi, kept this recipe secret until his death, when it was found in a document. This court also enjoyed other flavoured cocoa powders with lemon, musk and more. Francesco Redi had a secret hot chocolate recipe! 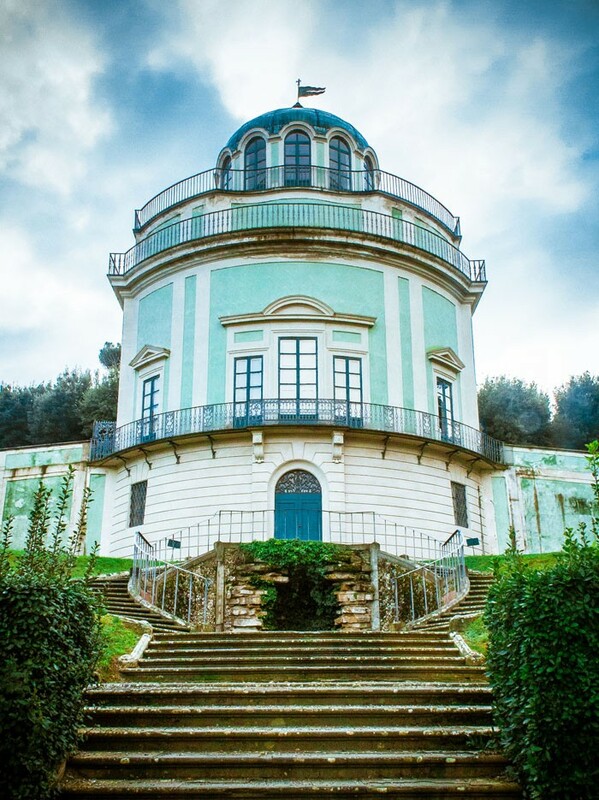 The subsequently ruling Lorena family carried on the chocolate-loving tradition; Pietro Leopoldo had Zonobi del Rosso design the Kaffeehaus in the Boboli Gardens (1774-85) as a useful place to have a hot-chocolate break with visiting European aristocrats. By the 18th and 19th centuries, hot chocolate had become a morning ritual for many nobles; by the 20th century, it slowly infiltrated the culture of those who could afford to frequent the city’s many cafés. 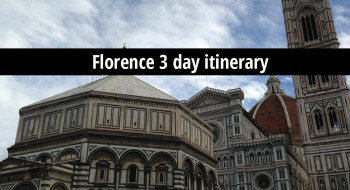 Florence was booming, and many important cafés that opened in this period are still serving hot chocolate today. 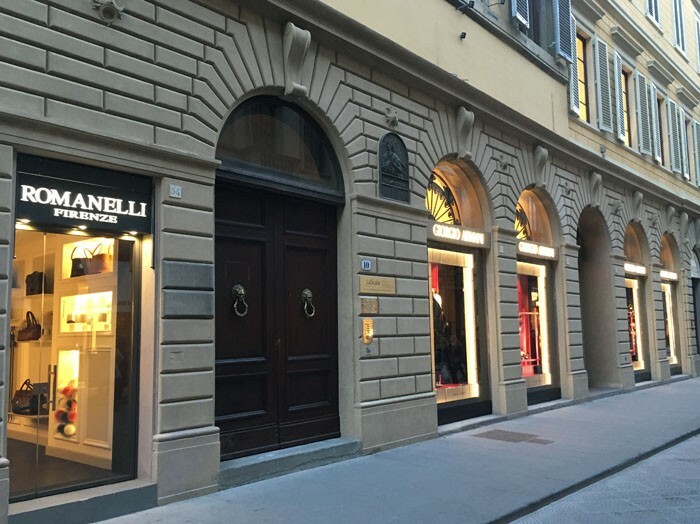 Amongst those now lost is one on via Tornabuoni, right next to Palazzo Strozzi, called Gran Caffè Doney. The tea house was much favoured by aristocrats and by the English, whose consulate was not far away. In 1937, Mussolini met with Violet Trefusis (Keppel) here, an important expat; the encounter is commemorated in the movie Tea with Mussolini in a re-created version of the place that closed in 1986. Another favourite Florentine bar for hot chocolate was Il Bottegone in Piazza Duomo (corner of via Martelli), which stayed open late to serve the aristocrats coming home from the nearby theatres. Sadly, it changed hands and functions in the 1960s. The tradition of drinking hot chocolate in Florence continues today, especially in wintertime – so skip the cappuccino and order the family friendly hot chocolate for a caloric way to warm up. Traditionally in Florence it’s thick and bitter, though each bar has its own style. We list some of the historic places to drink it as well as a few new additions. Caffè Rivoire opened in Piazza della Signoria in 1872, when Florence was capital of Italy, and they made an artisan hot chocolate based on a secret recipe. Many important politicians and nobles drank it here, and it’s still available now! 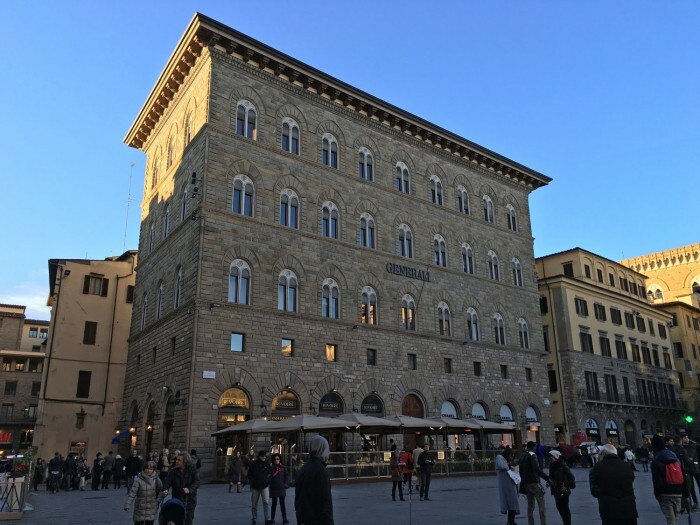 The bars in Piazza della Repubblica all date from the Poggi restoration of this piazza; the large Caffè Gilli was and still is one of the stops on 20th-century aristocrats’ checklists when searching for a hot chocolate fix. Caffè Giacosa was founded in 1815 as pasticceria, tea house, restaurant and chocolate factory; its via della Spada location that opened in 1927 was the favourite of many nobles, including a certain hard-working thirsty count Negroni, for whom the rather strong Florentine drink was invented right there. For something less alcoholic, the place still serves up hot chocolate, having been purchased and restored by Roberto Cavalli a few years ago. 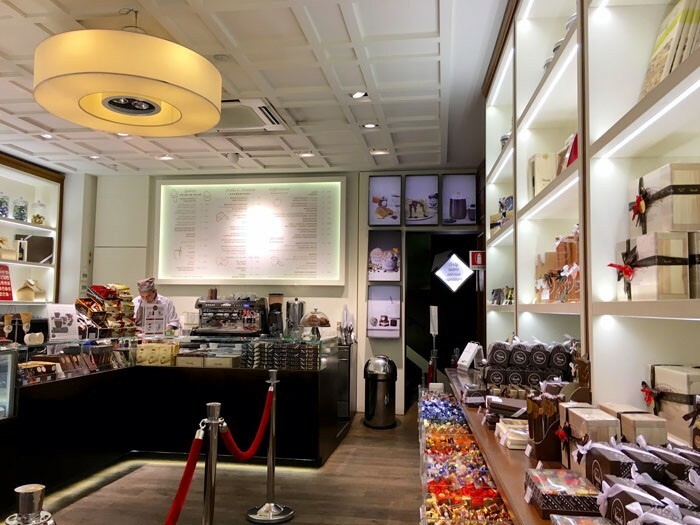 Of much more recent date, but worth a mention, is Vestri chocolatier, a tiny store on Borgo degli Albizi (Santa Croce) that serves many different flavours of chocolate ice cream in the summer, and superb hot chocolate in the winter. 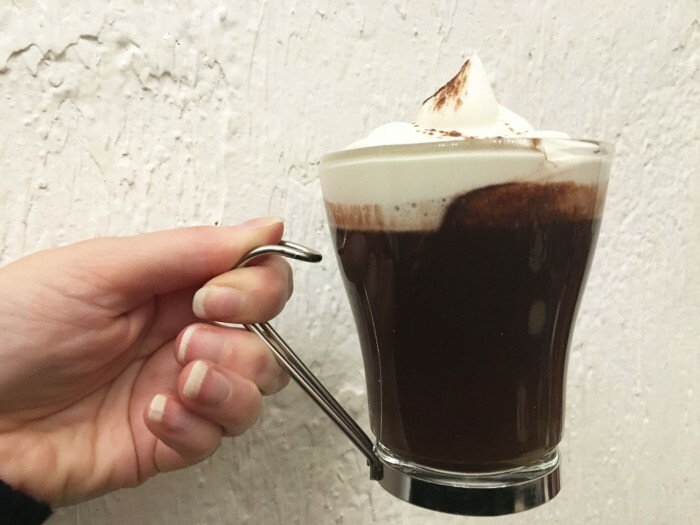 While not from Florence, Venchi at the Loggia del Porcellino also specializes in hot chocolate as well as shots of liquid giandiuia. Chiaroscuro on via del Corso also has an extensive menu of hot chocolate flavours. Three girlfriends and licensed guides are the minds behind the cultural association Tre Passi Per Firenze. 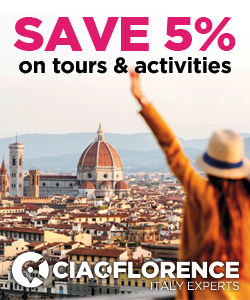 Besides providing private tour services in Florence in Italian or English, they propose a weekly calendar of “tour sharing”, thematic low-cost opportunities to explore the city (min 6 participants). 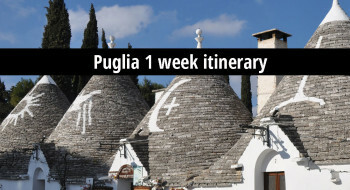 Like the tour I took about chocolate in Florence, these are geared at residents, providing unusual approaches that go beyond the usual tourist itineraries. 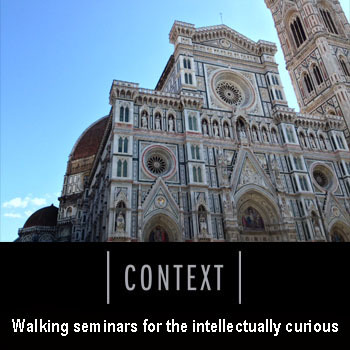 They offer a tour along the banks of the Arno, themes of Romantic Florence and Florence in the movies, as well as occasional visits to the Vasari Corridor. 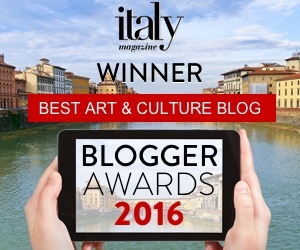 It’s December and the Italy Blogging Roundtable is writing about the theme sweet! Prepare to pay the dentist extra as you read the posts from my colleagues.